**PLEASE NOTE CHANGE OF LOCATION OF SERVICES WHICH WILL BE AT DAN ENEA'S NEW AND LARGER LOCATION ON THE CORNER OF ROUTE 5 AND BIDLEMAN ROAD (TOWN OF MANHEIM). WHEN TRAVELING EAST ON ROUTE 5 TOWARD ST. JOHNSVILLE, GO PAST THE DOLGEVILLE ROAD TURN AND WE ARE ONE MILE UP ON ROUTE 5, ON THE LEFT. Poland, NY- Greg (Mac) McCormick, of Plumb Road, passed away unexpectedly on March 13, 2018. He was born on December 30, 1953 in Syracuse, NY, the son of the late Paul McCormick & Marie Green. Greg attended Rome Schools and SUNY Canton. He married his high school sweetheart on August 16, 1975. Greg moved his family to the country living in 1984 where he built the log cabin he always wanted. 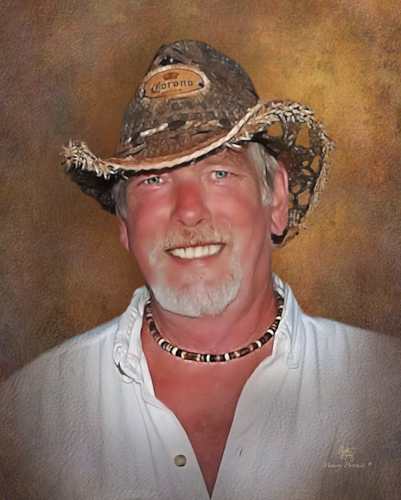 Greg enjoyed the outdoors, hunting, fishing, snowmobiling, waterskiing, boating, riding his Harley, and hanging out at his "Man Camp". He also enjoyed downhill skiing with his buddy Wally and spending time with his good friend Roger. Greg is survived by his devoted wife, Susan of 43 years at home; daughters, Christy and Tara McCormick and her husband Carl Parow; sisters, Lorraine McCormick (Richard Hoey) of Rome, NY, Rose (David) Roberts of Endwell, NY, and Kathy (Thomas) McRae of Charlotte, NC. Also surviving are his loving grandchildren, Shawna and Zachary Rickard, Brendan and McKenzie Parow; great-granddaughter, Raelyn Hampel, and several nieces and nephews. He was predeceased by his brother, David McCormick and his best friends, Dickie Barr and Pete DePasquale. We're sure they'll be partying it up in heaven! Greg leaves his fur babies, Molly and Molsen who also idolized him. Prior to his NYS career, Greg was employed by Ames Department Store, where he started his antics and was reprimanded when he made up a jingle over the loud speaker for sales in his department. He was well known for his pranks throughout his entire career with the state, which began in 1976. Many found Greg and his pranks to be hilarious, including the forensic patients. He retired from CNYPC in 2009. Greg appeared to be a tough guy on the outside but truly would do anything for anybody. He would move heaven and earth to take care of his Family. He continued this generosity by being an organ donor. The family is grateful for our neighbors Jack and Debbie Hasse, Dave Hughes, and the Kuyahoora Ambulance and Fire Rescue. The family will receive relatives and friends at Mohawk Valley Funerals and Cremations, 7507 State Route 5 (town of Manheim), between Little Falls and St. Johnsville, 315-508-5131, on Sunday, March 18, 2018 from 1-4 p.m. with the funeral service also on Sunday, commencing at 4 pm from the chapel of the funeral home. Burial will take place at the convenience of the family. To light an onine candle or add to his online memorial, please click above.